An 18-year-old teenager infected at birth with HIV was able to control the infection levels in her body for the past 12 years—without being treated with antibiotics. The unidentified female, whose mother was HIV-positive, was given antiretroviral treatment right after birth. Her treatments stopped at the age of six and she has since been in remission. She has maintained undetectable levels of the virus for the past 12 years. Researchers are puzzled. They believe that there may be something unique in the woman’s biology, combined with early treatment, that allowed her to control the infection. 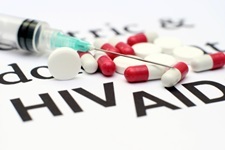 After birth, the female was given her first set of antiretroviral drugs to prevent the infection; once the infection was present, she was then given four more types of antiretroviral drugs. Between the ages of five and six, her family failed to send her in for observations and eventually elected to stop her treatment. Once she returned for a checkup a year later, the medical staff found undetectable levels of HIV in her blood—despite not being treated. Now more than a decade later, the infection remains undetectable. Asier Saez Cirion, from the Institut Pasteur in France, presented the findings at the IAS 2015 conference on HIV pathogenesis, treatment, and prevention in Vancouver this past week. Saez Cirion and his team are analyzing the biology behind the ability to control the HIV infection levels in the body in hopes of identifying a possible cure—where infection levels are so low they don’t do enough damage to the immune system. Senthilingam, M., “Teenager controls HIV infection without drugs for more than 12 years,” CNN web site, July 20, 2015; http://www.cnn.com/2015/07/20/health/teenager-hiv-functional-cure/index.html.